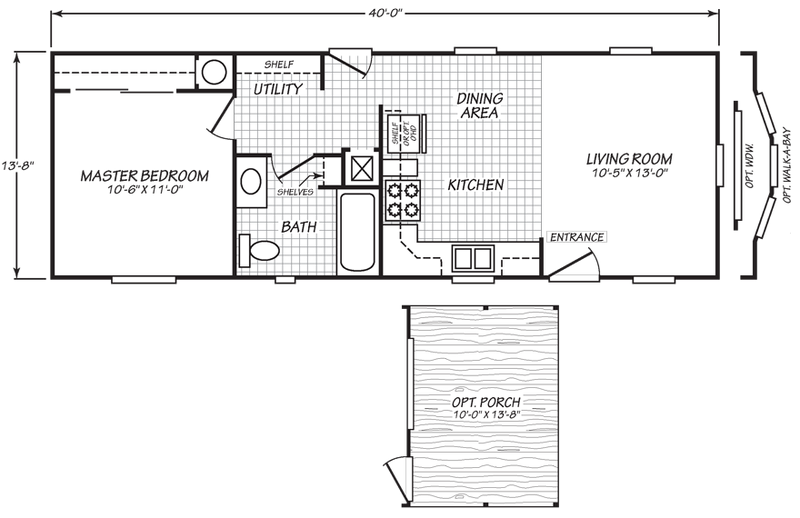 The EV1 model has 1 Bed and 1 Bath. 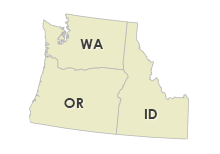 This 533 square foot Single Wide home is available for delivery in Washington, Oregon, Idaho. The EV1 would make a terrific cabin for outdoor enthusiasts who happen to have a patch of wilderness to place it on, but it would also make an equally great addition to any urban community for the city dweller. 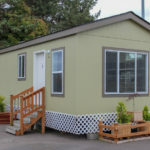 Whether being used for the former or the latter, this home has every modern convenience one could hope for in a brand new manufactured home, including durable vinyl flooring for easy clean up. 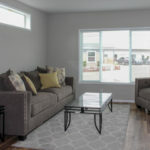 EV1 Exterior is showing the enlarged 78″x59″ living room end wall window. This home is painted Garden Sage for the main body color and Griffen paint for the trim and fascia. 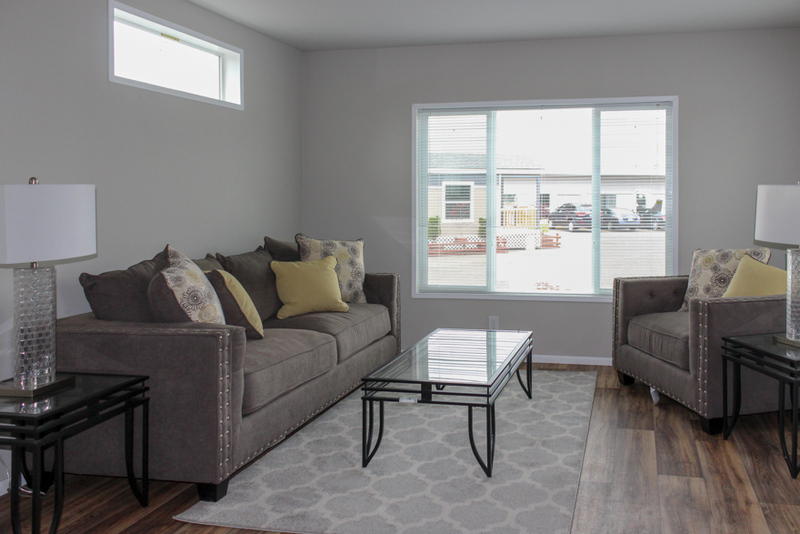 The living room is showing the enlarged 78″x59″ living room window on the end with an optional mini blind. The loft window on the side of the room is optional. Linoleum in place of carpet is an upgrade and the linoleum color is Lime Oak. The interior walls are painted Collonade Gray. 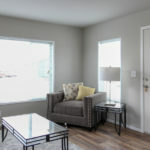 The living room is showing the enlarged 78″x59″ living room window on the end. Mini blinds are an option in this model. Linoleum in place of carpet is an upgrade and the linoleum color is Lime Oak. The interior walls are painted Collonade Gray. 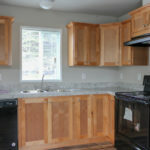 The kitchen is showing the upgrade Shaker Alder cabinets and an optional dishwasher. The dining room includes a standard chandelier. 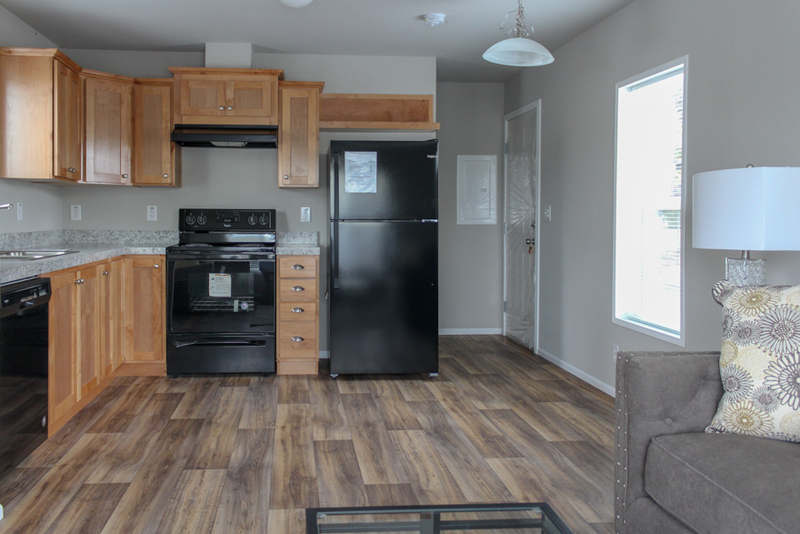 The linoleum color is Lime oak, the interior wall color is Collonade Gray, and the countertop color is Argento Romano. 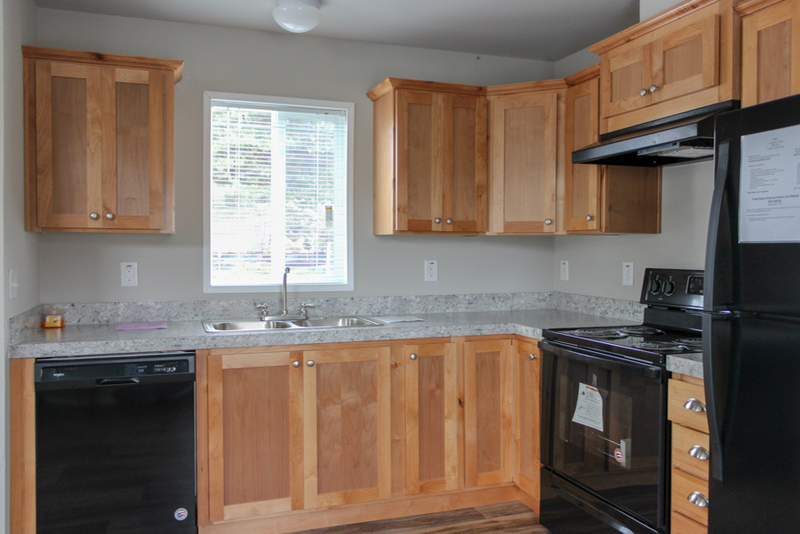 The kitchen is showing the upgrade Shaker Alder cabinets and an optional dishwasher. The window over the sink is showing an optional mini blind. 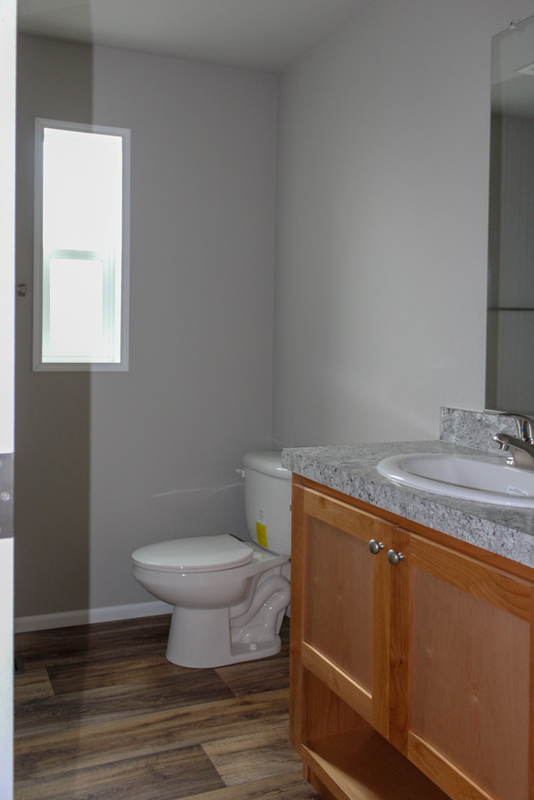 The linoleum color is Lime oak, the interior wall color is Collonade Gray, and the countertop color is Argento Romano. 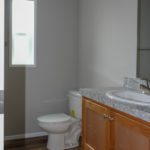 The bathroom in this home is showing the Easy Upgrade Guest Bathroom package, which includes an elongated toilet, china sink, single lever faucet, medicine cabinet, and a one-piece fiberglass tub/shower. 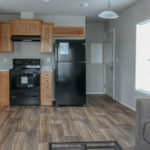 The interior walls are painted Collonade Gray, the floor color is Lime Oak, the cabinets is upgraded to Shaker Alder, and the countertop color is Argento Romano. The 14×40 window is standard. 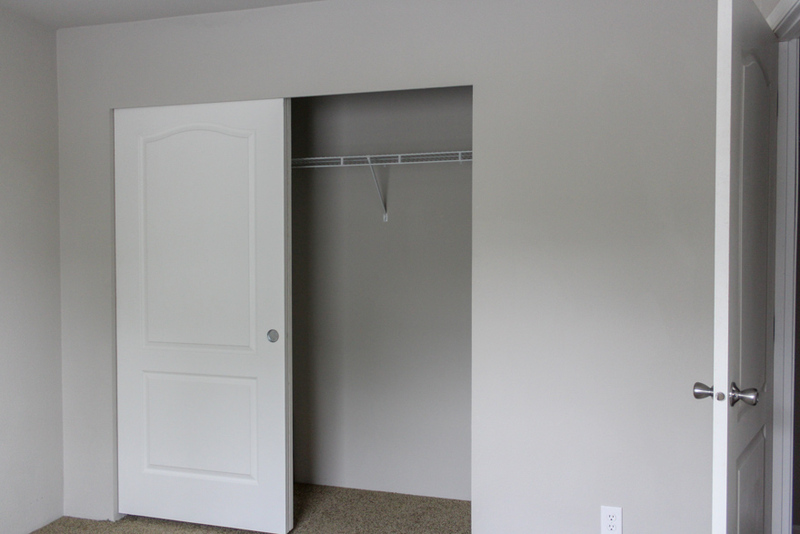 The bedroom in this home includes sliding wardrobe doors to the closet. 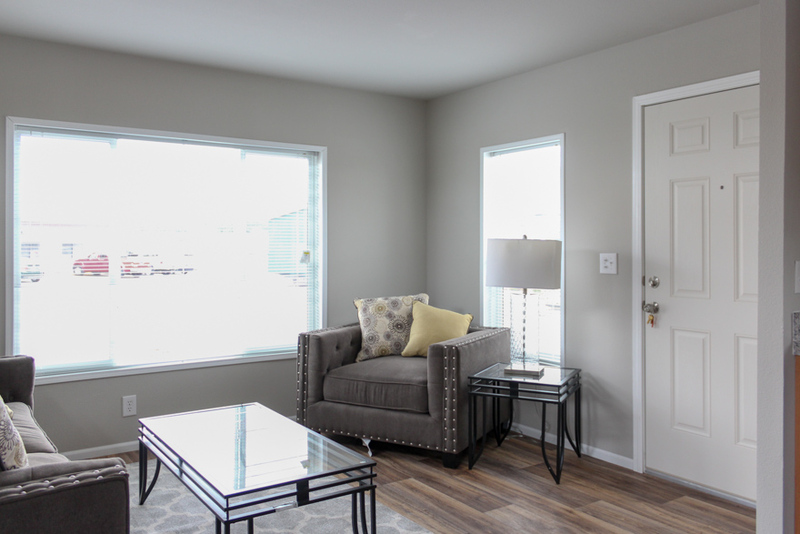 The interior walls are painted Collonade Gray and the carpet color is Mantra – Hemp. 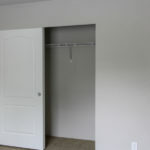 The bedroom includes a 46×59 window and is showing an optional mini blind. 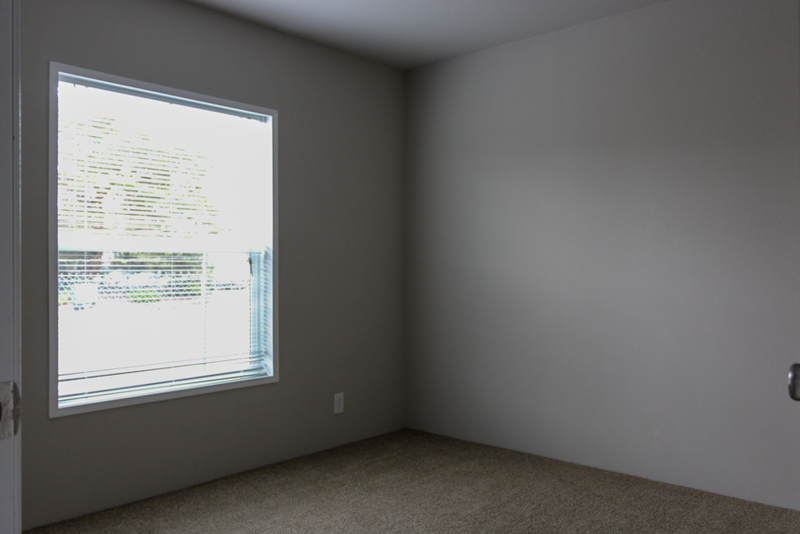 The interior walls are painted Collonade Gray and the carpet color is Mantra – Hemp. 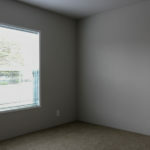 Baseboard molding in the carpet areas is an available option. 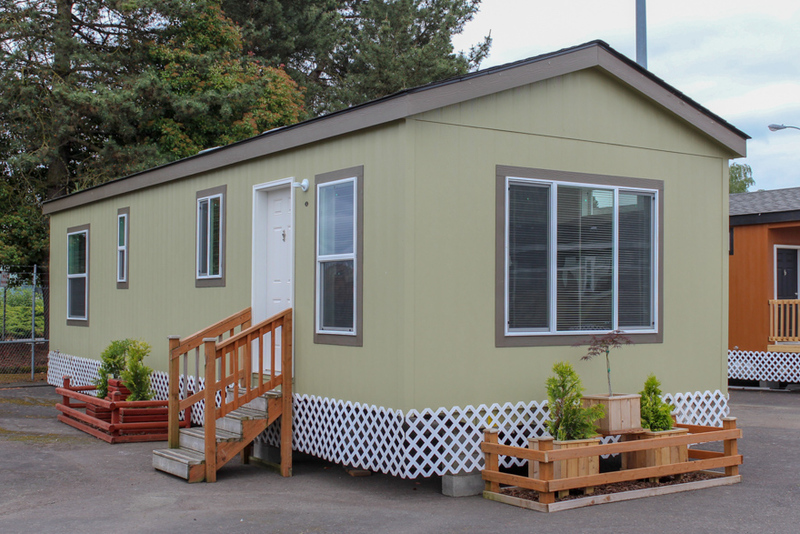 Ask your housing consultant about the other great features that come standard on the EV1 manufactured home.